I recently got my hair highlighted and so moving to Sulphate Free hair products was a must. 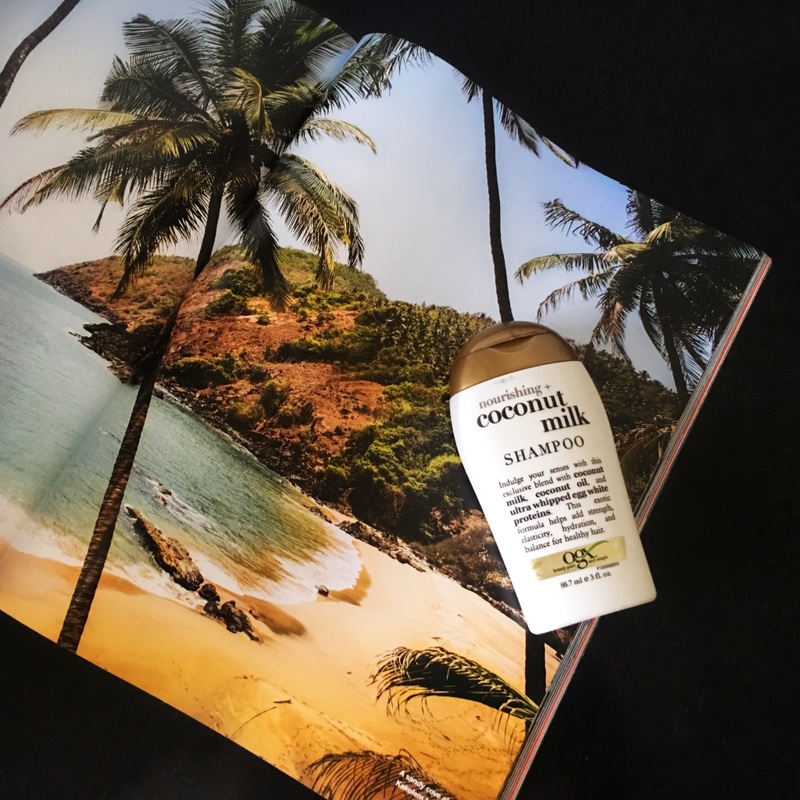 After a lot of looking around, I decided to give Organix (or OGX) a try and was so so impressed….read to find out more! 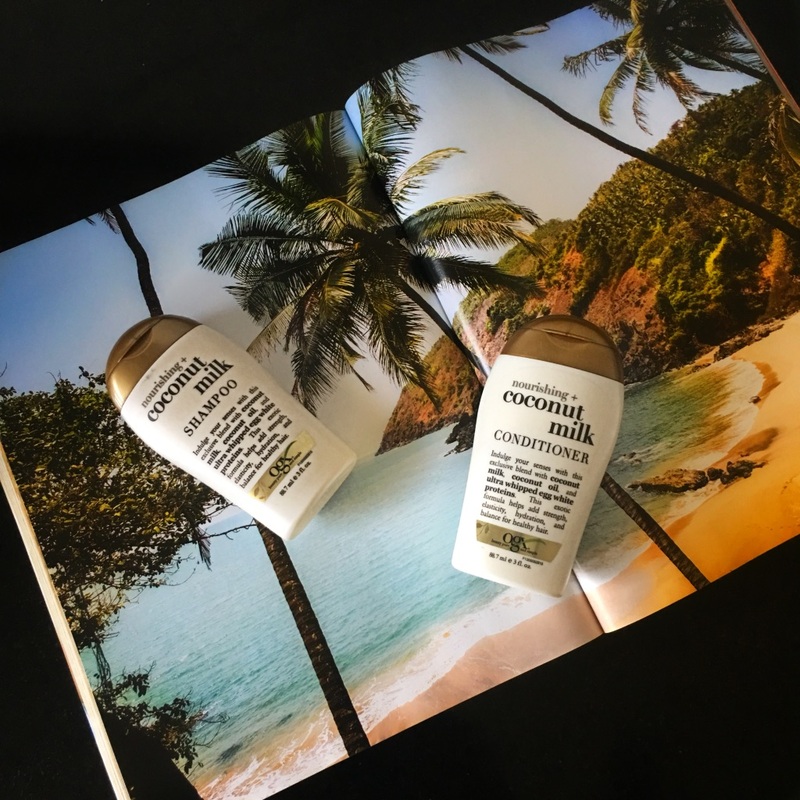 I’ve been using three of their collections for the last couple of months and one of my favourites is the Nourishing + Coconut Milk Shampoo and Conditioner. Dl Water – Aqua , Cetyl Alcohol , Behentrimonium , Cetearyl Alcohol , Cetearyl Glucoside , Glyceryl Stearate , Glycerin , Cyclomethicone , Dimethicone , Jojoba Oil , Panthenol , Silk Amino Complex , Coconut Milk , Egg White Protein , Coconut Oil , Tocopheryl Acetate – Vitamin E , Tetrasodium EDTA , Fragrance , DMDM Hydantoin , Methylchloroisothiazolinone , Methylisothiazolinone. I am in Looooove! 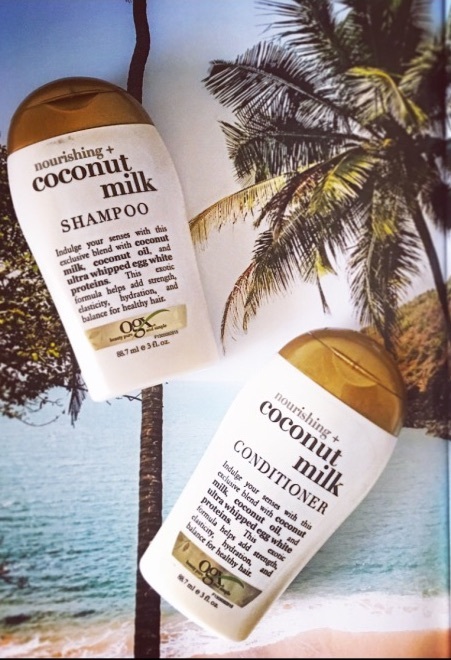 Coconut is a true love in my life and so there’s no surprise that I’m so obsessed with this OGX hair care collection. The shampoo is white pearlescent in colour and the consistency of it is quick thick and luxurious. 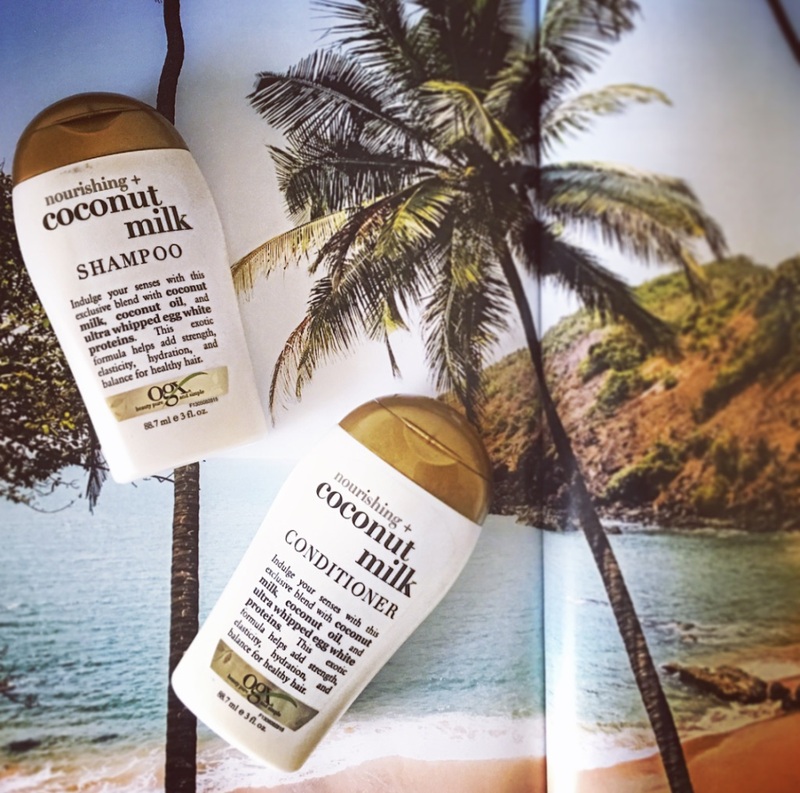 I was so surprised by how well this shampoo lathers for being a sulphate-free product. I usually always oil my hair (and leave it overnight) the night before I shampoo and this removed the oil from my hair beautifully! The conditioner is luxuriously creamy. 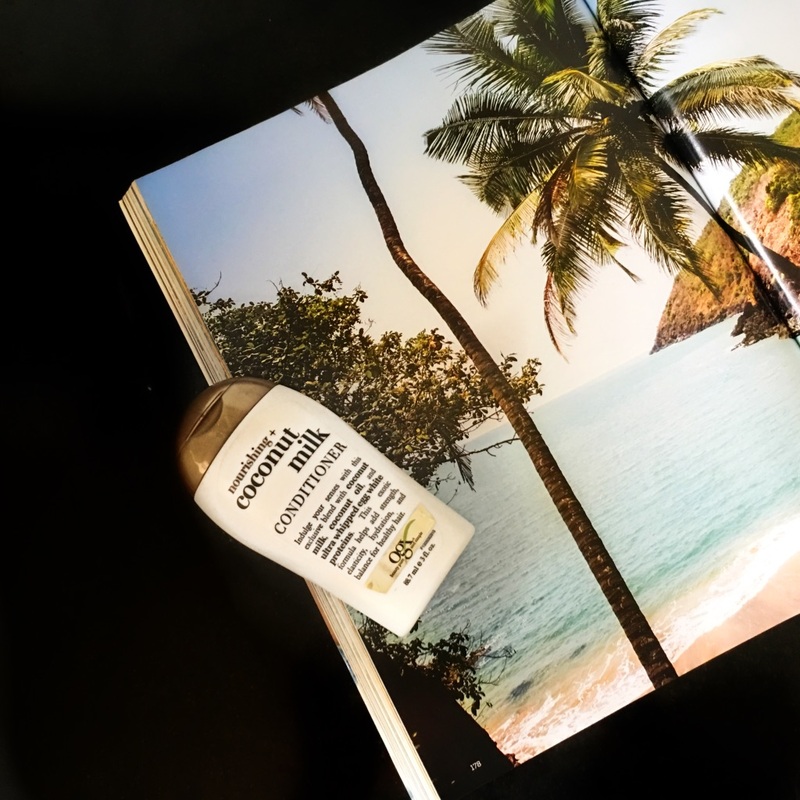 The smell is gorgeous…irresistible, the consistency is nice and thick and it makes my hair feel so much more softer after I use it in the shower. √ Price – OGX products are very affordable. I have the Travel Size of this collection (perrrrrfect for travel!) and I bought them off of Amazon for 590 INR ($9)! The bottles are 88.7 ml each. √ Packaging – The packaging is absolutely adorable. I love the uniquely shaped bottles that are sturdy and made from plastic. Also, OGX claims that their packaging is eco-friendly and that they’re made out of recycled post-consumer resin. √ Availability – OGX products are easily available online and at big Druggists all across India. I usually order mine online from Amazon.in, but I’ve also seen them on various other websites and even BigBasket!